I usually don't spend my makeup budget... well okay, it's not really a budget, but whatever. I don't tend to purchase really expensive products. I have a few pricier items, but I tend to feel a bit silly (I hate the word silly, but you know) spending so much on one product, especially when I know it's the brand name that is bumping up the price and not necessarily the quality of the product. All that said, I did spoil myself a bit and purchased Dior's DiorSkin Forever Wear-Extending Invisible Retouch Powder for my birthday. I won't lie, spending $42 CAD on this felt a bit wrong, but I was still pretty excited to give it a try. I must have had a harsh case of snap-happy the day I took these photos. When I finally got around to editing them I was a bit shocked at how many there were. Oh, well, you've all had a proper look at it I guess. As you can see this compact looks is a bit bigger than your average. For comparison MAC Studio Careblend is 10g while this is 12g. The deep blue with silver accents is also quite stylish. While it didn't capture well on camera, the compact top also has a CD emblem that 'glows' through when in the light hits it. The compact also comes packaged securely in a velvety pouch, which is a nice touch, but in the end a bit useless for day to day use. The pouch, along with the sponge applicator that came with the powder are both useless for me, so I tossed them (buh-bye!) I have a little twist up brush that lives in my purse for touch ups. I find the sponges to be icky. I don't want to store something that's rubbed all over my face stored on top of my product. Eww, just eww. While the product is labeled as transparent, there are three colour options (light, medium, and deep.) I have the shade 001 Light. The colour is very sheer, which is something I look for in a powder, and won't change the colour of your foundation. I don't even know where to start with this... it's jsut, wow. This is the most amazing powder I've ever used. I thought I liked my other MAC powders (sorry MAC) but this is... really good. It is soft and delicate feeling, and when you swatch it, it disappears onto your skin. It took quite a few passes to get enough built up to get a photo. It melds onto your skin invisibly and leaves it looking flawless. The description says it is a matte finish, but I don't care for the matte look, and I wouldn't call this matte. It leaves your skin looking naturally amazing. I don't tend to reapply powder through the day, my skin normally doesn't need it, but if you happen to need a touch up every now and then, this is the product for you. It just doesn't cake! It stays beautifully silky and natural. I'm not sure how this fares in terms of mattifying oily skin as it isn't a problem for me, but I honestly think it would probably stand up to the challenge. Overall, I love this powder! This ended up being my best splurge yet. Have you tried this powder? Do you have an expensive item in your stash that you love? I love the packaging! I agree spending so much on one product feels weird, but sometimes I do it too! I got a tiny sample of this i think it was.. And thought it was lovely.. But the powder I'm loving at the moment is the Burberry Sheer luminous powder foundation.. It's wonderful.. 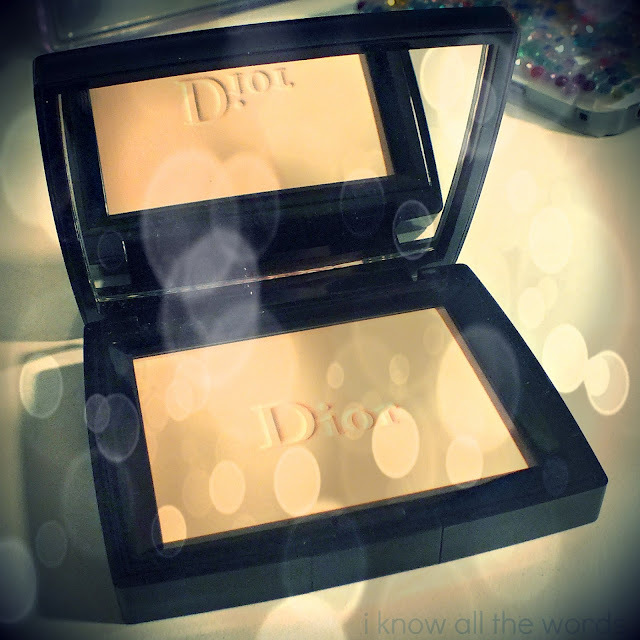 Gives good coverage without that cakey feeling.. And it melts into the skin so you get that lovely glow as well.. I wear NW20, but I'm just a bit lighter than it.